Welcome To Laurieville! Population 1.: It's not a want ... it's a need. It's not a want ... it's a need. I need felt. 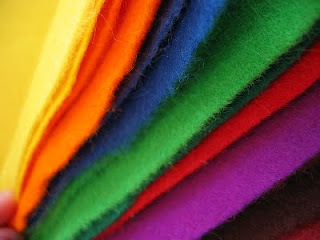 Lots and lots of felt. Every crafty blog I visit has something made of felt. I have no felt. I don't know why. All I know is I need it now. HOW AM I GOING TO GET THROUGH THE HOLIDAYS WITHOUT FELT?? Say felt over and over. Felt. Felt. Felt. Starts to sound weird. I've got nothing for you! What the H is felt? Sounds kinda naughty. my married daughter put it on her wish list- she said many of the couples in her ward had them- i thought they'd be nice to have in my car for things i want to carry but not necessarily in my purse. have fun with your felt. OH YOU BETTER BACK OFF OF MY POST IT NOTE TUESDAY AND xoxoxoxoo 's.